Toyota has started road tests of its Highway Teammate concept, a vehicle equipped with automated driving functions that it hopes to bring to the market in around five years’ time. As well as demonstrating the capabilities of next generation safety technologies, the vehicle also represents Toyota’s vision of how the driver-car relationship will evolve in the age of artificial intelligence. Toyota believes interaction between driver and car should be like that between close friends who have a common purpose – looking out for each other, and helping each other when needed. It calls this approach the Mobility Teammate Concept; the Highway Teammate is an important step in developing this into an effective, real-world technology. 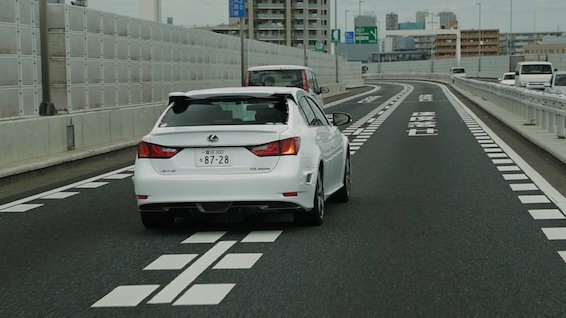 First trials have taken place on Tokyo’s Shuto Expressway, with a series of driving manoeuvres to test automated functions. 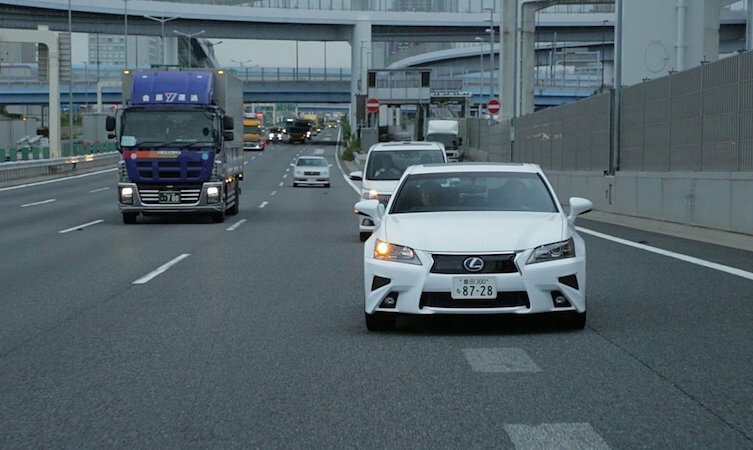 Highway Teammate is a modified Lexus GS, equipped for automated motorway driving all the way from the on-slip to the exit. On-board systems monitor traffic conditions, make decisions and take actions such as merging onto or exiting the road, maintaining or changing lanes and keeping a set distance from other traffic. The driver can activate the functions after passing through a motorway toll and entering a slip road. Highway Teammate can pinpoint the car’s position using highly accurate road map data; it also uses multiple external sensors to recognise nearby vehicles and hazards and selects routes and lanes according to the selected destination. It automatically operates the steering wheel, accelerator and brakes to achieve the appropriate speed and driving lines, in much the same way as a human drives a car. Highway Teammate successfully combines recognition and decision-making processes with the ability to take action in a kind of safety technology that is expected to play an important part in future vehicles. Toyota believes that mobility should mean safety, efficiency and freedom, and is ramping up its research and development of automated driving technologies, with a view to launching related products by around 2020. Toyota has been exploring the potential of automated driving technologies since the 1990s to support its aim of a creating society where traffic casualties have been eliminated and where everyone can enjoy the freedom of mobility, including elderly and disabled people.